This is a single exposure. I used a circular polarizer to give some visibility to the creek bottom in the foreground and to reduce the glare on the white water that was even more blown out than it looks here. 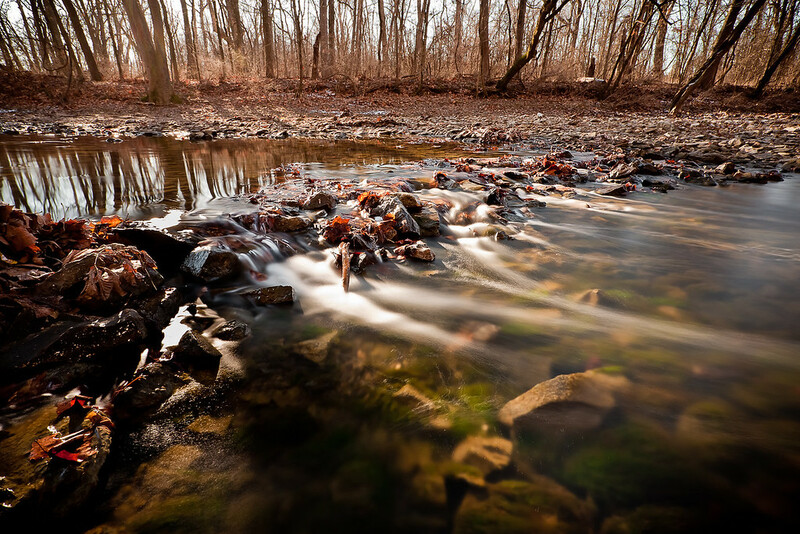 I also used a neutral density filter to cut out six stops of light, allowing me to use a 25 second exposure.